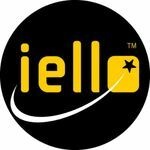 IELLO is a game and toy company founded in 2004 in France. We began solely as a distributor, but by 2008, we began partnering with many studios to publish games as well. In 2010, we began publishing under our own brand. We specialize in games that are rich with graphics, beautiful in design, and innovative in game play. We are now a premier publisher and worldwide distributor in a fast-expanding industry. In 2012, we solidified our position by creating a U.S. division to better service the American market. This, coupled with the release of Richard Garfield's best-selling and award-winning game King of Tokyo in 2011, put us in the forefront of international game companies. We believe in the ability of games to bring people together. To that end, our goal is to bring the world games that are irresistible: games that are intriguing enough to pick up and impossible to put down. From children's and family games, to party and card games, to strategy games of every variety, we want to provide games of high quality and immense replayability. So, from our game table to yours, enjoy! And game on!